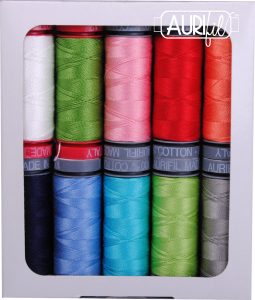 Home / Aurifil / Sewing Room! 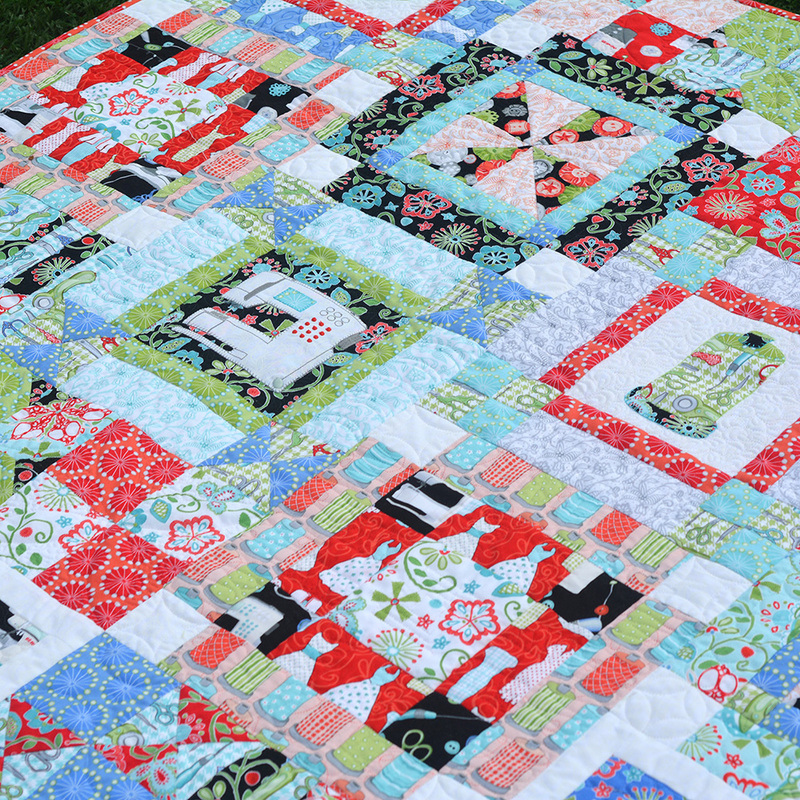 It has been a busy couple of months here and I can finally talk about all the secrets I’ve been keeping all this time. 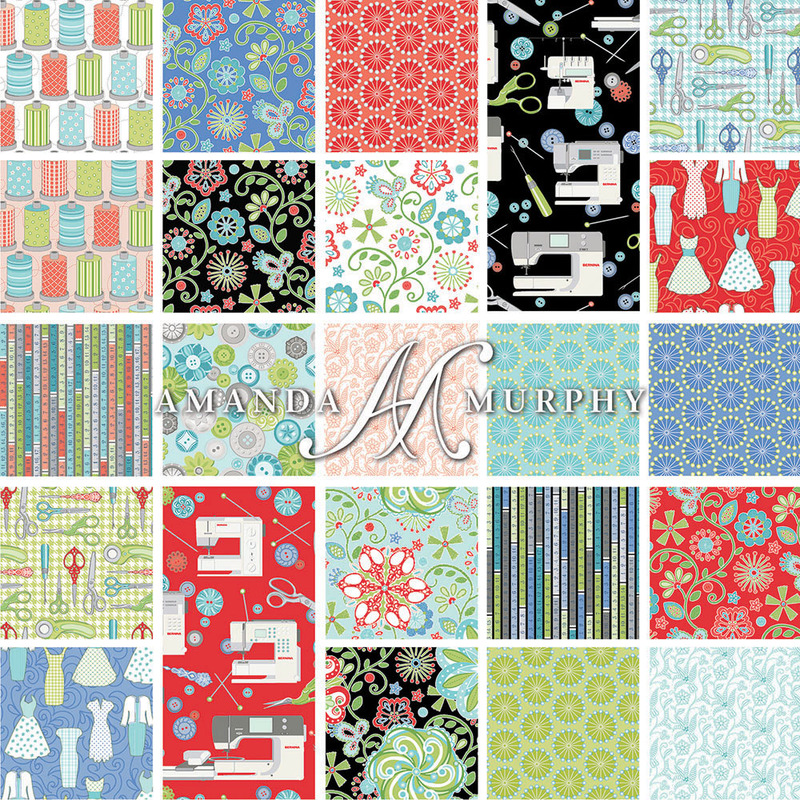 At BERNINA University this past week I debuted a brand new collection for Benartex – Sewing Room! 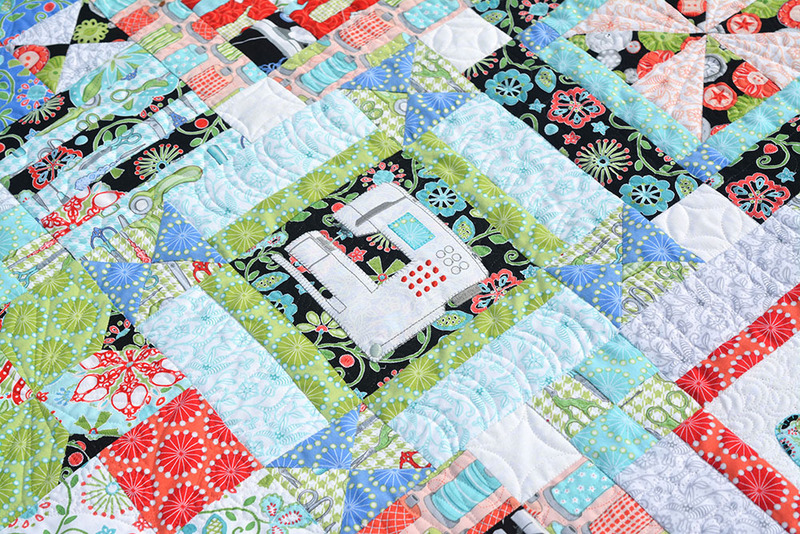 This one is close to my heart as a BERNINA Spokesperson because it has my very favorite sewing machines! 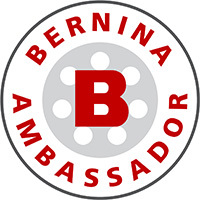 Although the collection is available to quilt shops everywhere, the SKUs with the BERNINA logo are only available to BERNINA dealers. 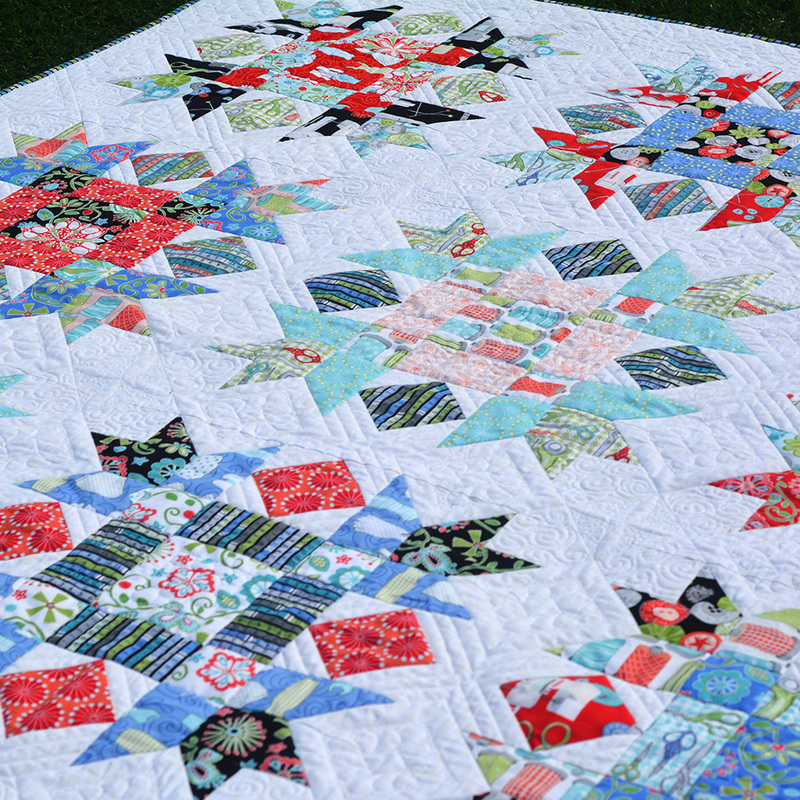 If you like the collection please ask your quilt shop to give Benartex a call. 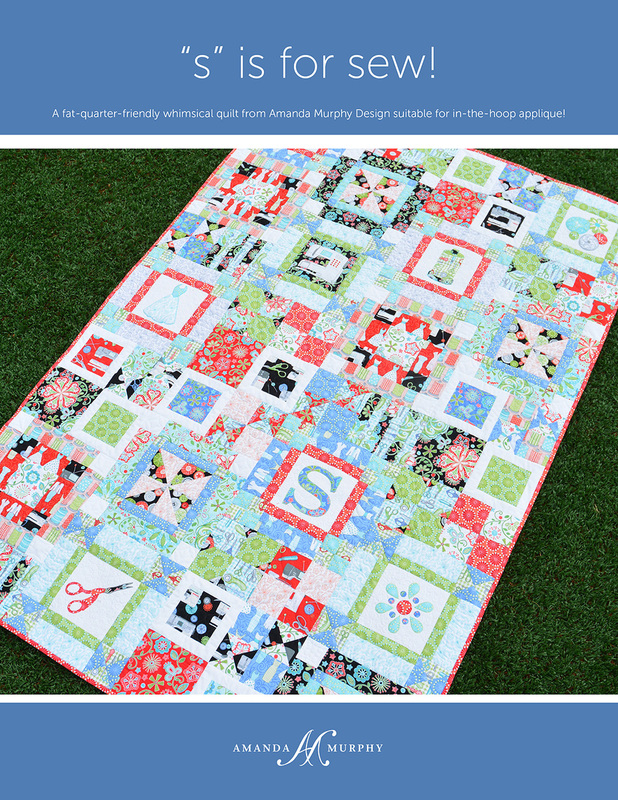 Patterns are just starting to ship this week to distributorsand are also on my website. Of course, if you can order from your local shop please do so – shops are the heart of our industry and we want them to stay in business! 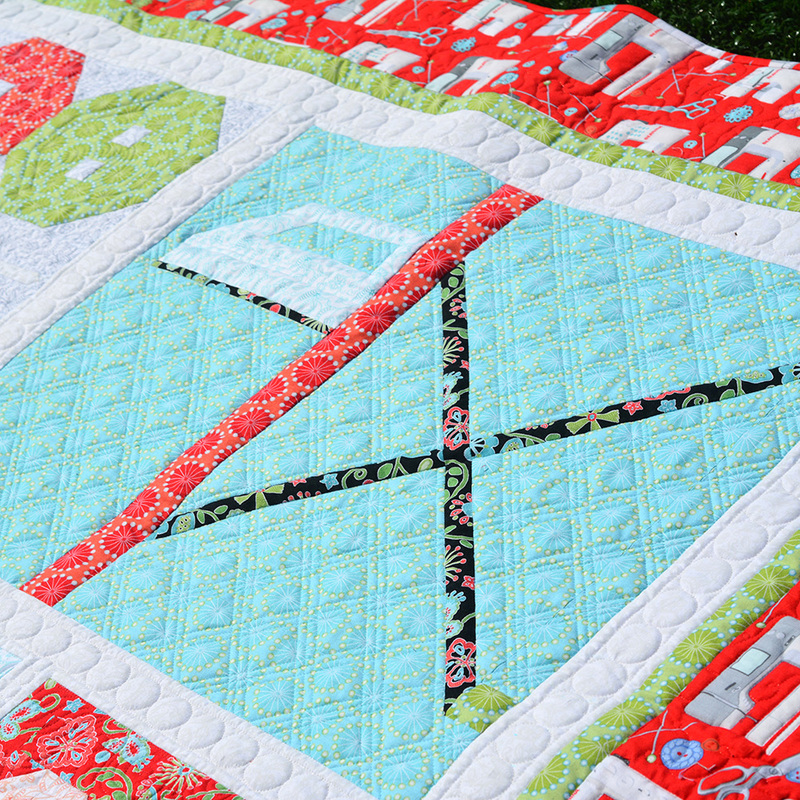 First up is a new pieced block-of-the-month pattern called Sewing Room Sampler. 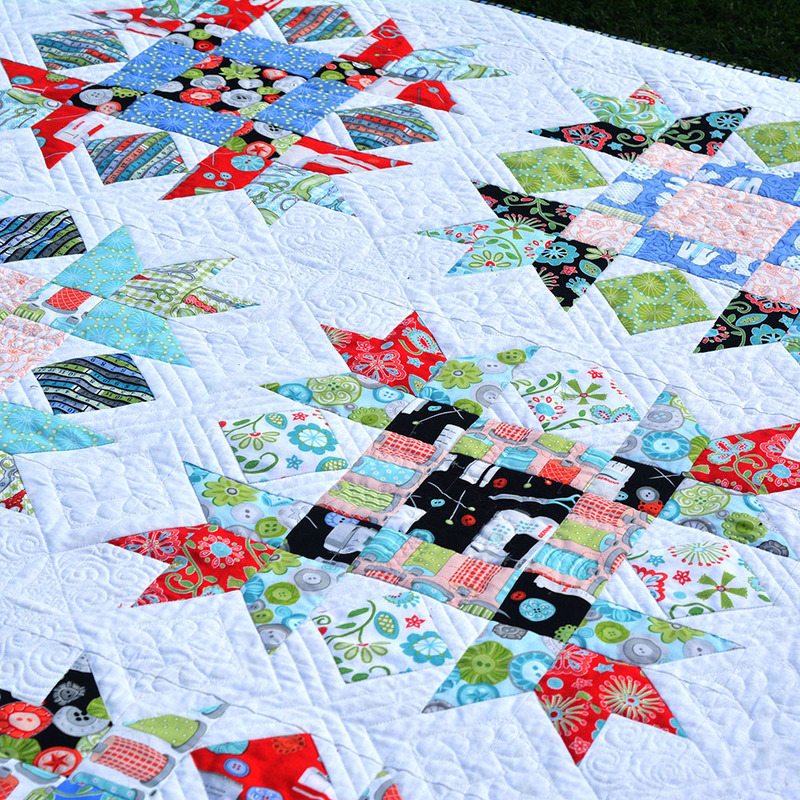 It is my favorite pattern ever I think because it was such fun to sew and to quilt. 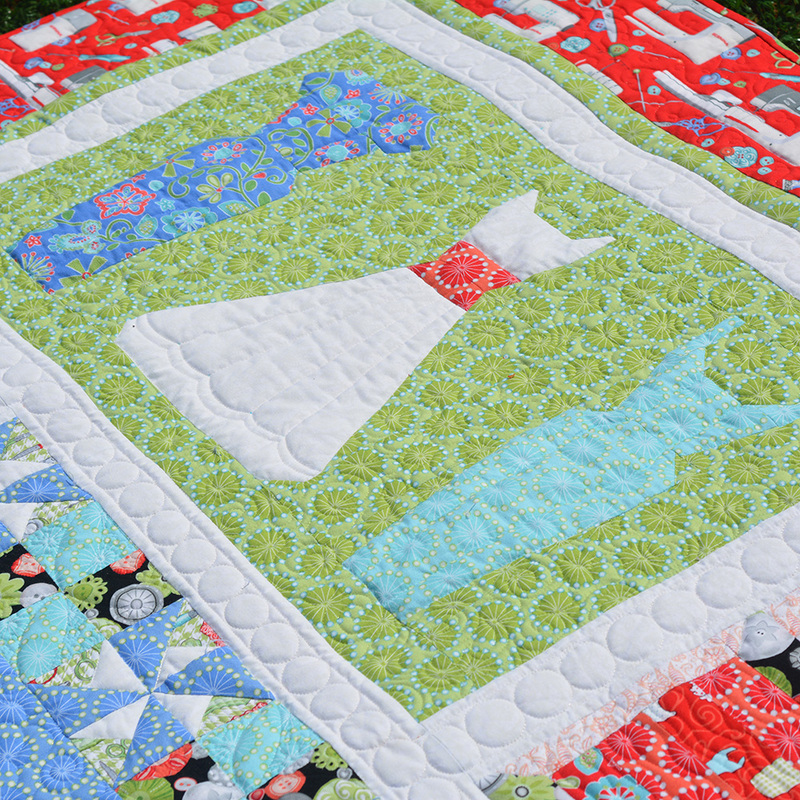 (I quilted it on my BERNINA Q 24 and I’ll be talking about how I did so in my Facebook group later in the year.) 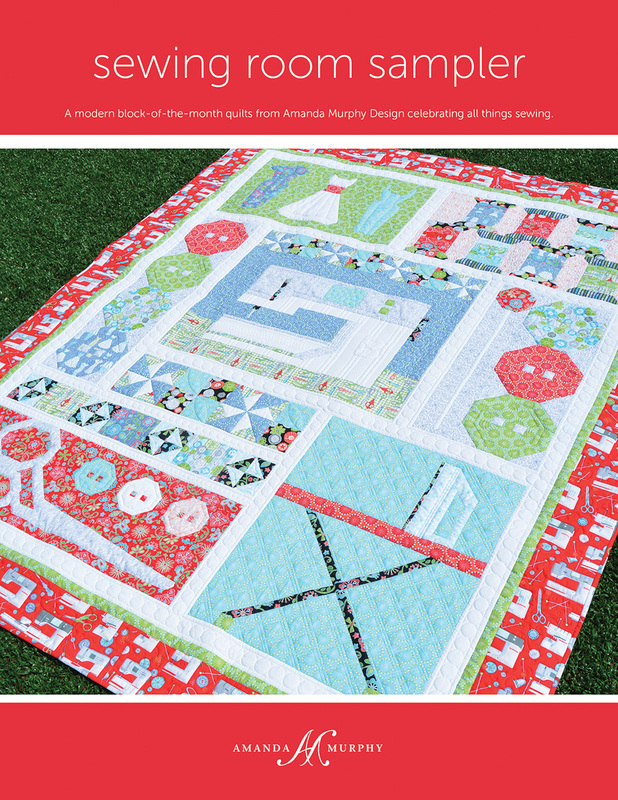 It is a larger pattern than my usual patterns – 16 pages full-color. 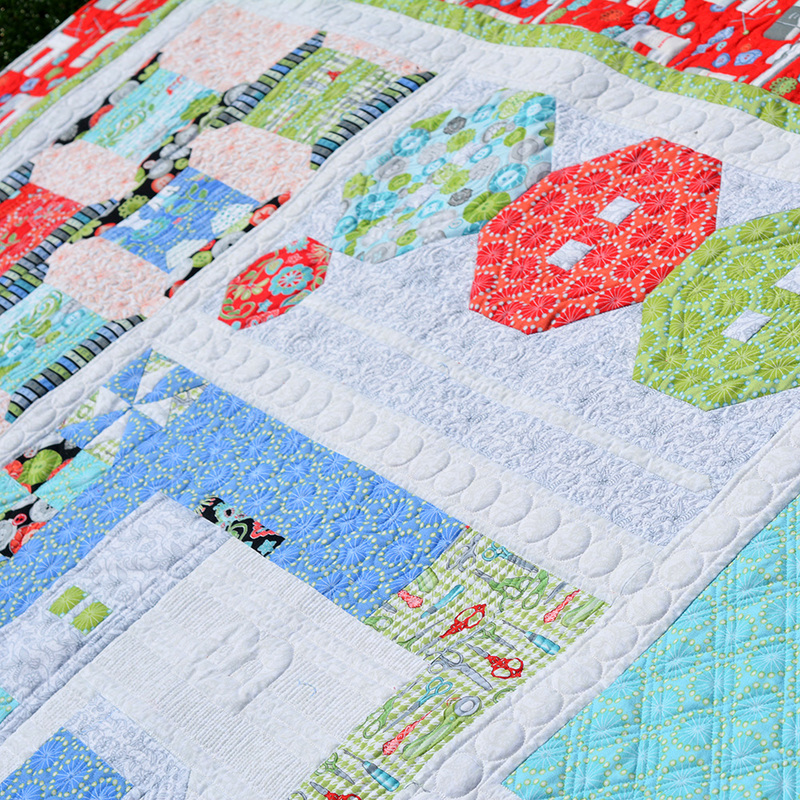 Shop owners can find the shop guide for this sampler here. 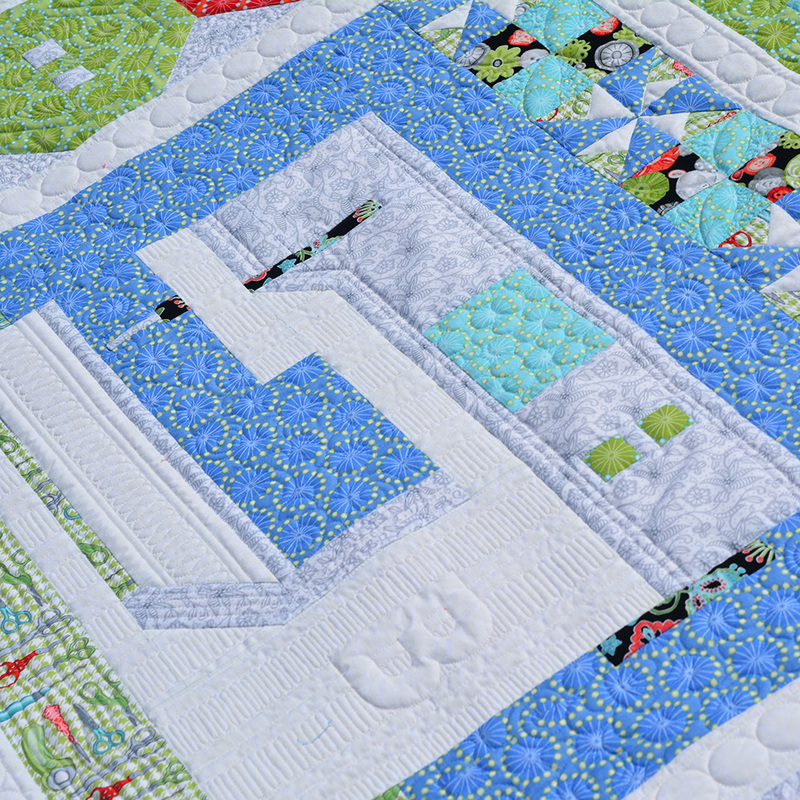 The third pattern is called “Sewing Garden”. 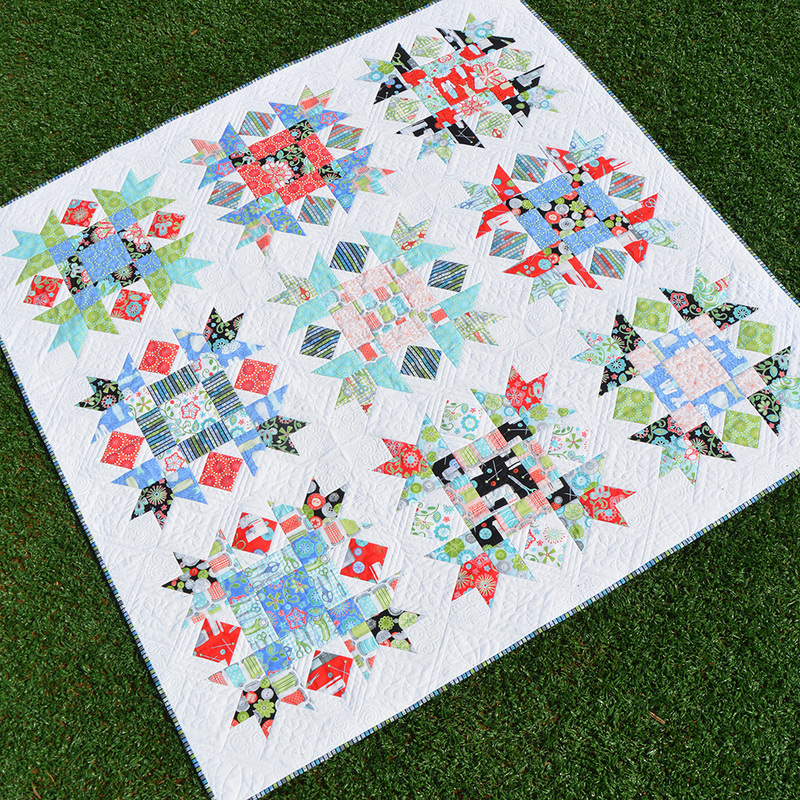 It is a simple pieced design made from two stacks of 10” squares. I also have two Aurifil thread collections which I’m really excited about, both of which coordinate with not only Sewing Room, but with all of my collections so far. 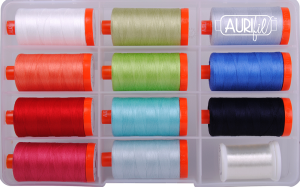 The first is great for piecing and quilting – it contains 11 large spools of 50 wt. 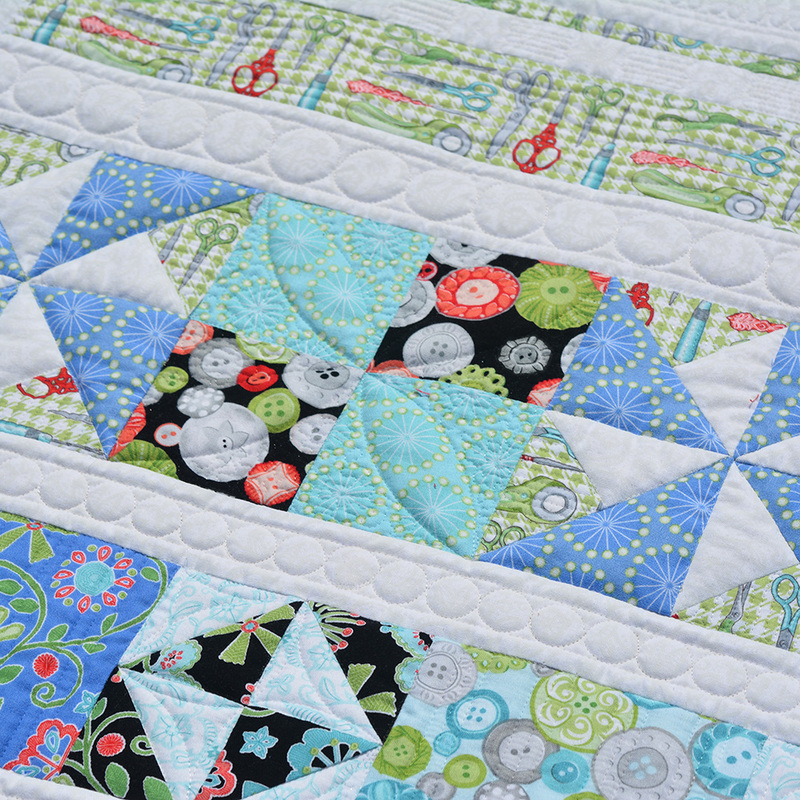 The smaller thread collection is perfect for appliqué! 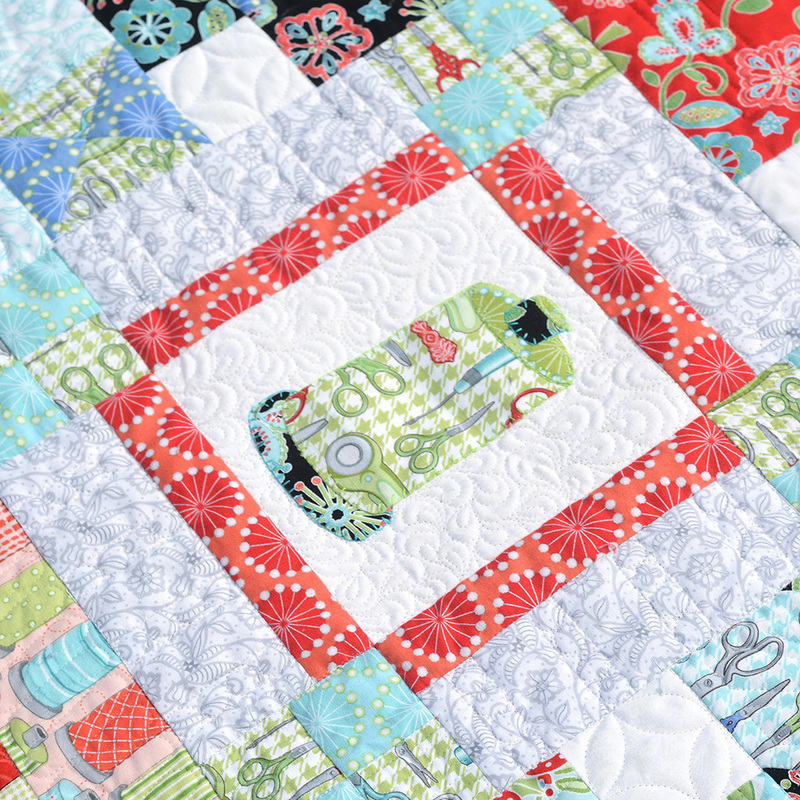 I love to use thicker thread for my appliqué, so it contains 8 spools of 28 wt. in a range of colors for blanket and specialty stitches and two spools of 12 wt. 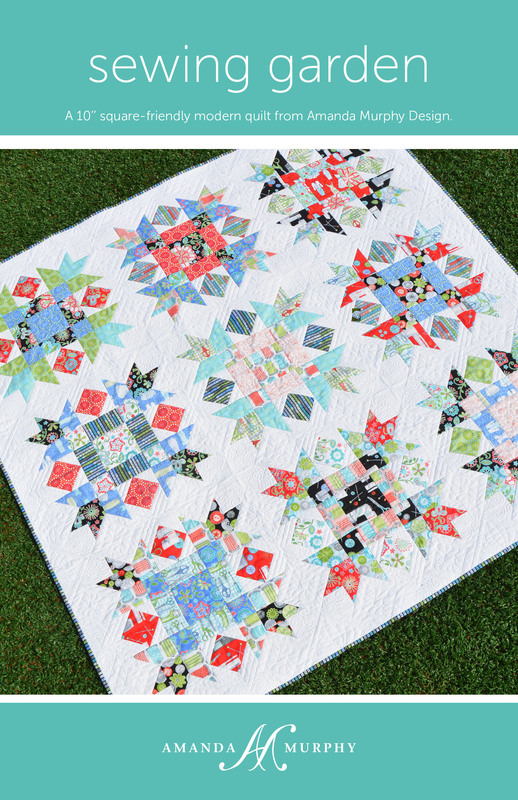 to use for the triple stitch and/or to mimic (or actually do if you are brave!) hand embroidery. 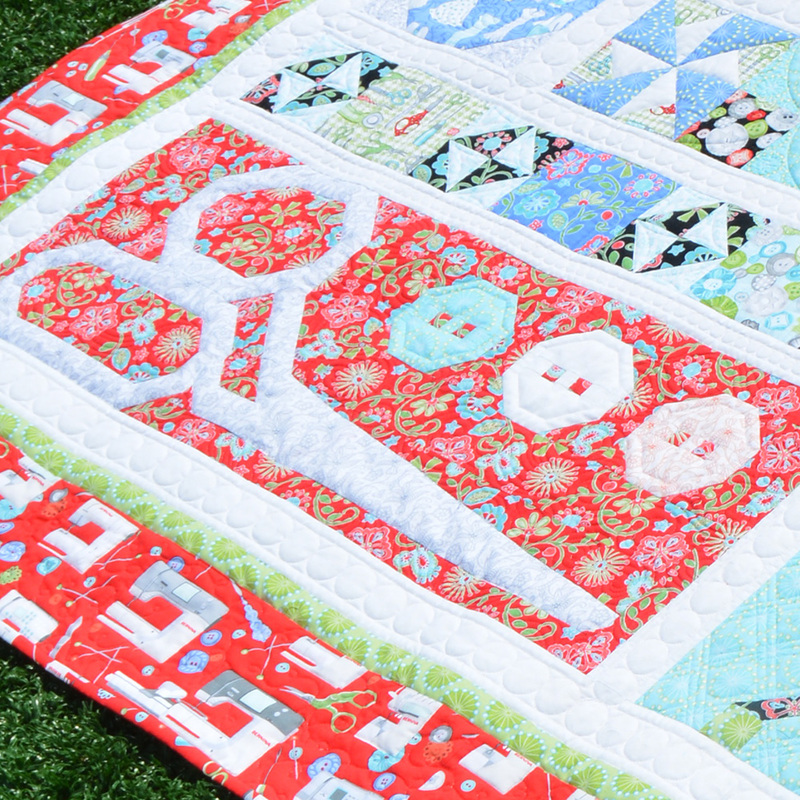 Aurifil is having a giveaway over on their blog for this one so check it out! 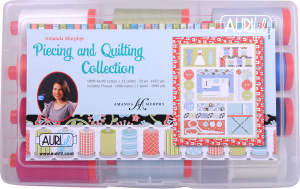 Next month I’ll be coming out a coordinating Sewing Room Quilting Collection as well for long arms and embroidery machines, similar to my Feathers & Flourishes Quilting Collection, which just started shipping as well. 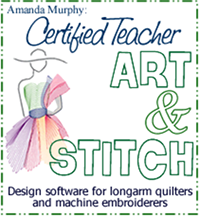 There is also a coordinating embroidery collection available from OESD. I’ll post pictures of that soon! 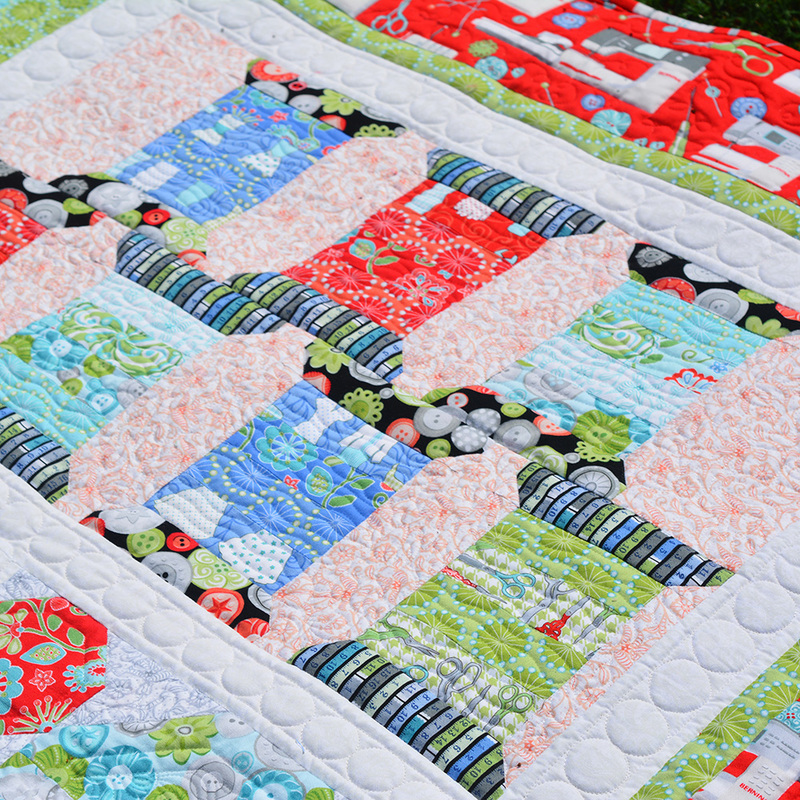 I hope you are enjoying your summers – happy quilting!